Organic cotton blouse from KAFFE. 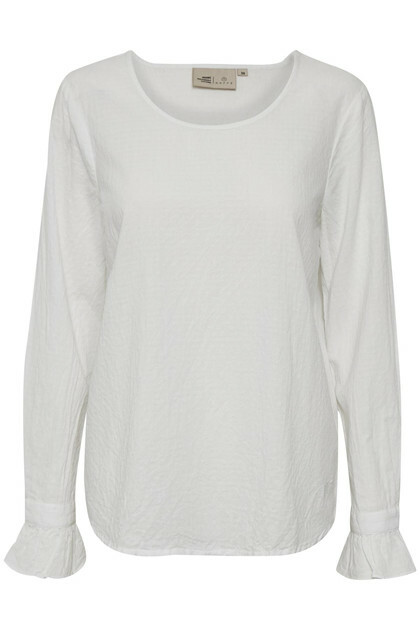 The blouse has a regular fit, a round neckline and button closure on the sleeves. 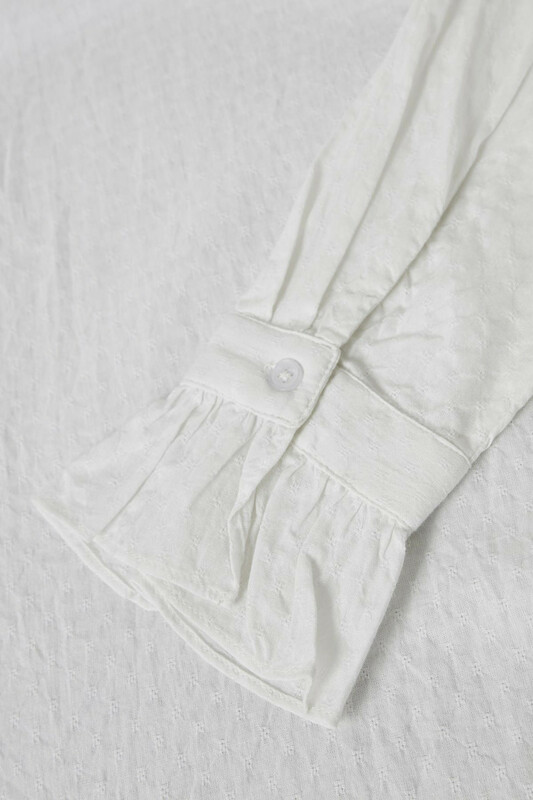 As an elegant detail, the sleeves have ruffles. 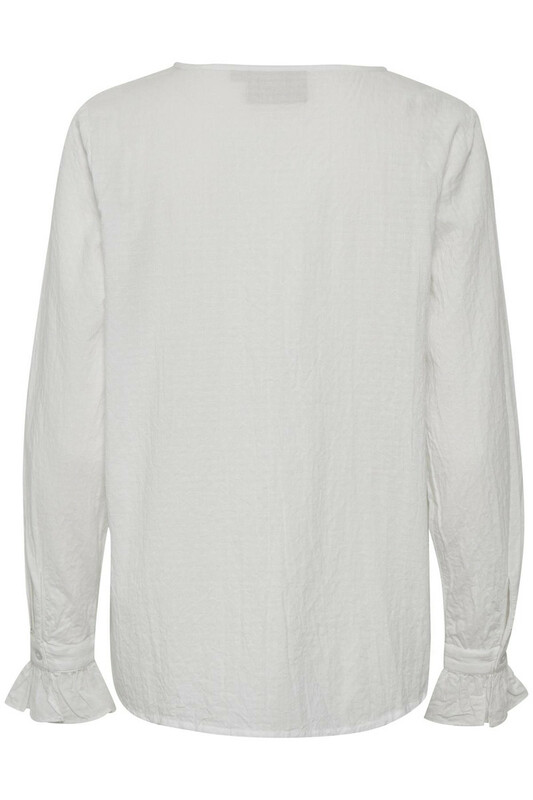 The blouse is stylish, in a timeless design and has a pleasant quality. Style the blouse with a pair of classic pants or ripped jeans for a completely classic and cool everyday outfit.